This is a large completely custom Mel Pardue. 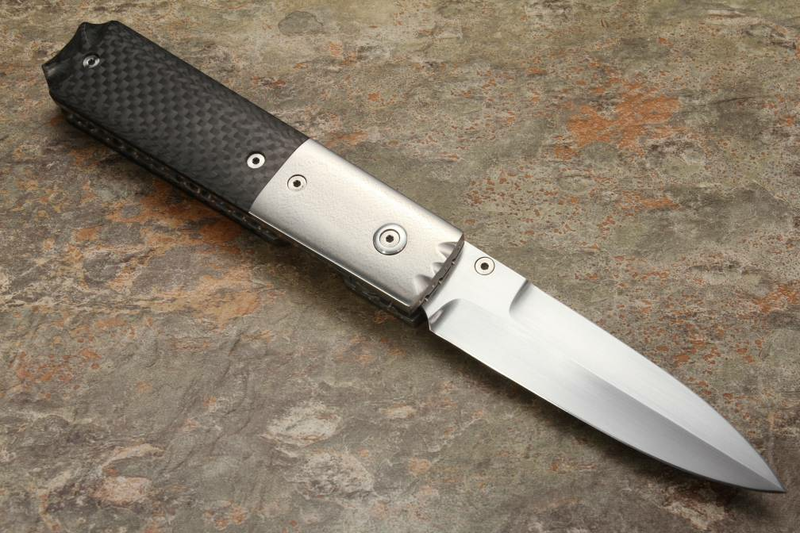 This the first time we have seen this tactical folding dagger model from Pardue. 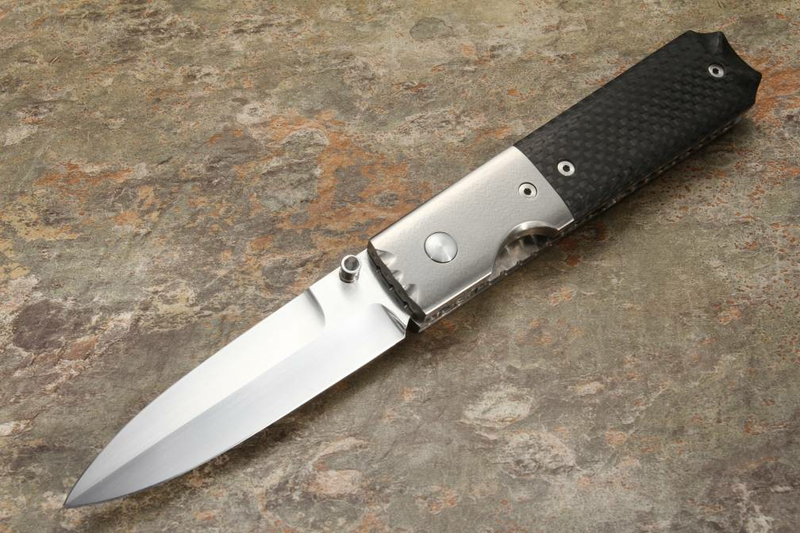 The satin finished knife has a long 3 1/2" dagger blade. The top edge of this knife is not sharpened. The stainless steel bolster is fluted, dove tailed and hand satin finished. 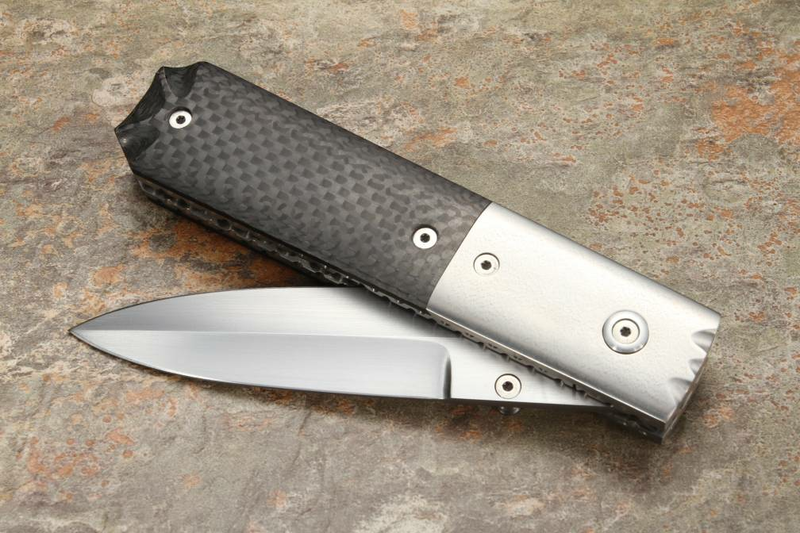 The handle is smooth black carbon fiber. 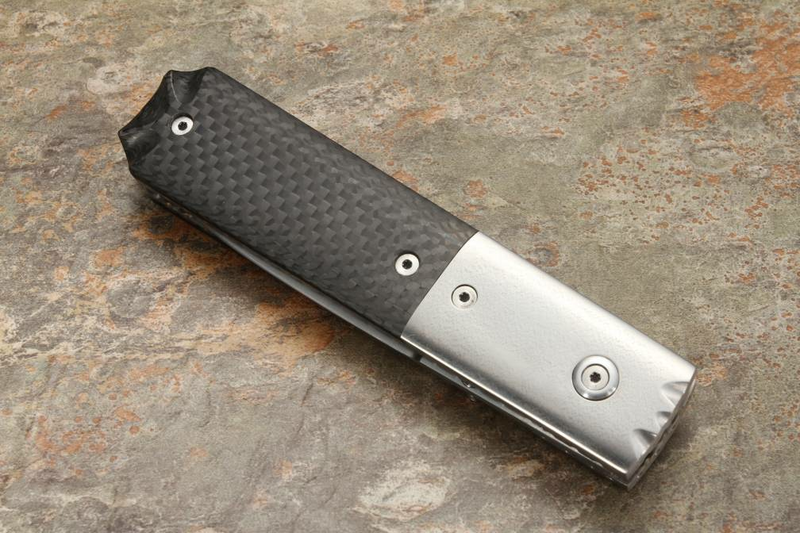 The durable handle is rounded and hand finished. 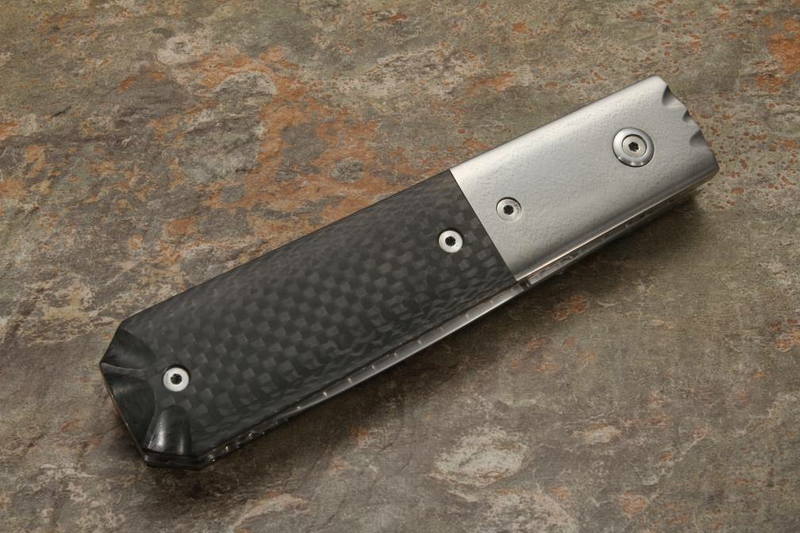 The thumb stud is also inlaid with carbon fiber, a nice custom touch. 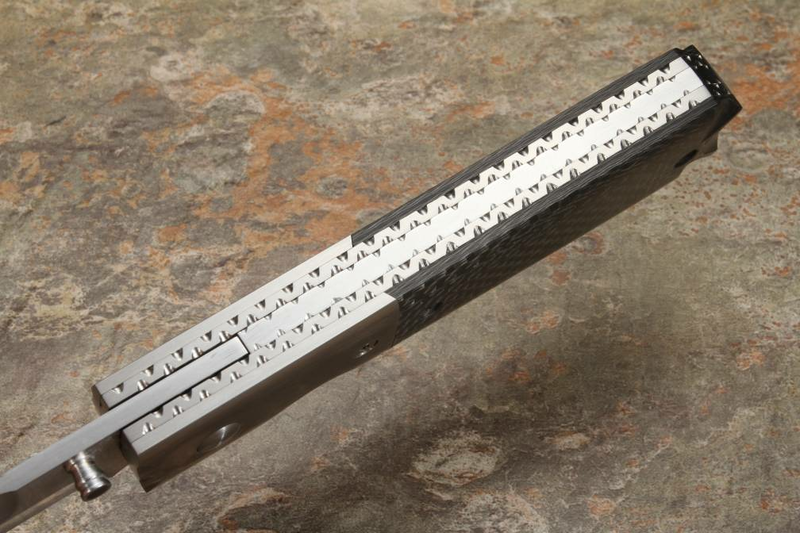 File work covers the titanium liners and stainless steel spacer. Smooth opening and closing. Crisp liner lock action.